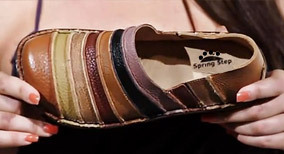 Gaspard Shoes | The Best Shoes Store In Delray Beach - An SAS Shoes Provider. Since 1981 we have carried National Brands to satisfy the needs of your style. 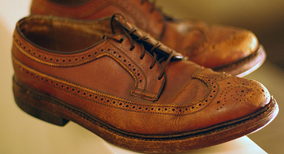 Our brands range from SAS, Hush Puppies, Florsheim, Spring Step, Easy Spirit, Daniel Green & more. There are so many shoe stores these days but, since I discovered Gaspard shoes I have stayed a loyal customer; I love their brands. This place always astounds me with the new styles and consistent brands they have. I can always find my size and at the right price. I am what you could call a shoe connoisseur so when I heard of Gaspard shoes I was quite impressed with their selection. Working in politics having the right shoes is important and Gaspard Shoes makes sure I stay right in line with what I need. Thanks to The-D-Style Graphic Solutions our site now is complete for our customers. Articles are being promoted about Gaspard Shoes in the top 5 Sunday paper in the USA. Keiser University has joined Gaspard shoes in some upcoming community ventures.